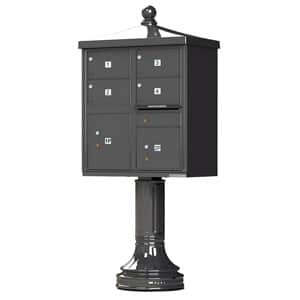 These decorative 4 door cluster mailbox accessories by Auth Florence offer a quick and economical way to dress up standard CBU mailboxes while enhancing curb appeal. 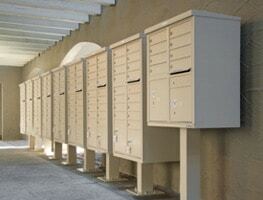 These attractive freestanding centralized mail centers are widely used for both USPS delivery and private delivery in residential, commercial and industrial neighborhoods across the nation. 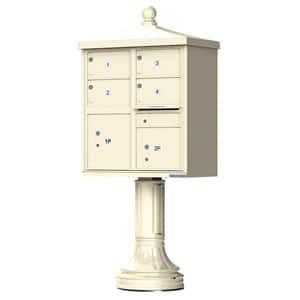 Each 4 door cluster mailbox accessories kit comes with a standard pedestal plus a cast aluminum CBU roof cap with ball finial, Post Column and Post Base. All Vogue Traditional CBU Mailbox Accessories are made of 100% die cast aluminum. 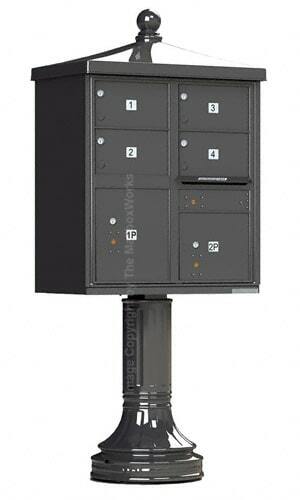 Quick snap installation requires minimal hardware and installs with self-tapping screws (included). 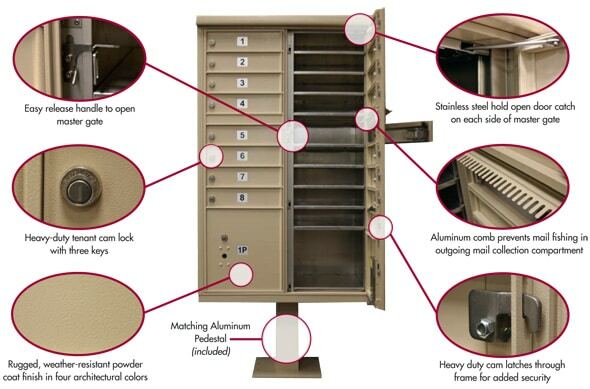 Choose the matching Auth Florence architectural powder coat finish to match your CBU mailbox unit. 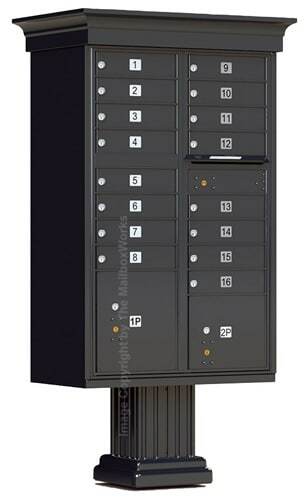 These Commercial Mailboxes designed by Auth Florence Manufacturing provide one of the safest and most secure outdoor centralized mail and parcel delivery systems; USPS approved and preferred for all neighborhoods and climate types. Tamperproof CBU mailbox design features heavy duty aluminum materials, full wrap around stainless steel hinges and welded seams in place of rivets. 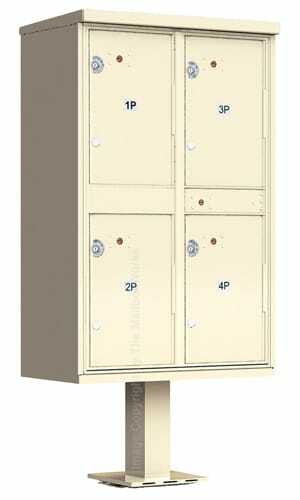 Powder coating finish comes in 4 colors and features rust protection and resistance to damage from inclement weather and force. 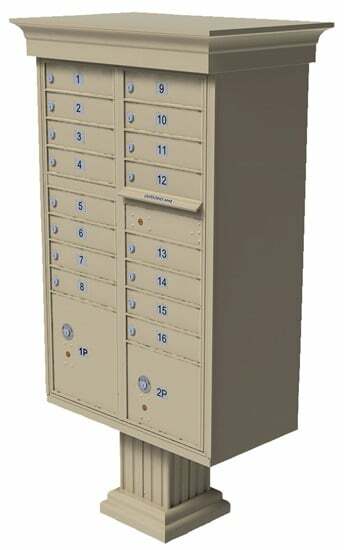 Each 4 Door cluster mailbox by Florence Manufacturing features 4 tenant compartments, 1 outgoing mail compartment and 2 parcel compartments. 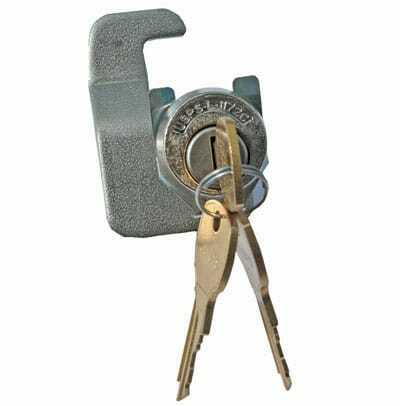 Individual tenant compartments are secured by a 5 pin cylinder lock and come with 3 keys. 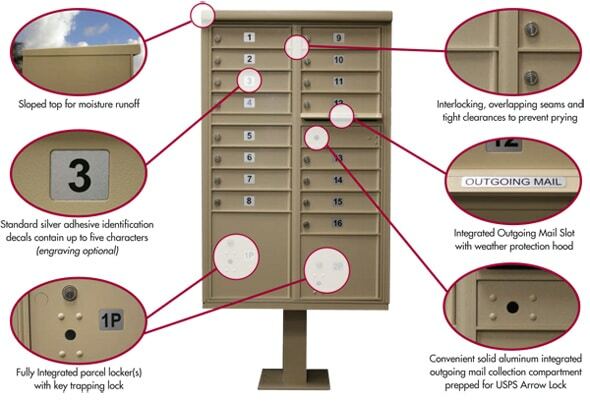 Parcel locker includes a self-trapping easy key return. 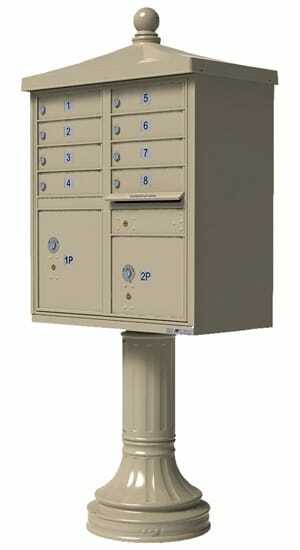 CBU mailboxes come with standard silver tenant placards. 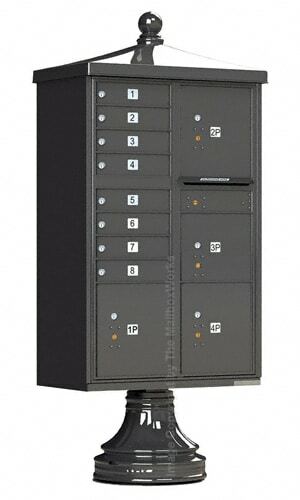 Custom engraving options are also available as displayed to the right. 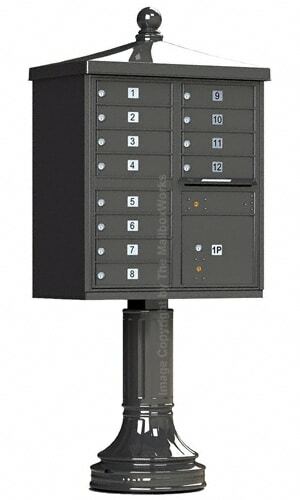 For help purchasing 4 door CBU mailboxes with Vogue Traditional cluster mailbox accessories please call us or chat with a customer care rep if you have any questions.